The Mount Carmel Foundation was established in 1983 by a group of local citizens committed to maintaining quality healthcare for Southeast Kansas with the purpose of supporting Ascension Via Christi Hospital in Pittsburg. The Foundation continues to be led by a local board committed to raising funds that stay locally to support the hospital. The purpose of the Foundation is to raise funds through philanthropy, grants, planned giving, and special events to enhance the quality of healthcare in southeast Kansas. The Foundation has made a significant impact for Ascension Via Christi Hospital in Pittsburg and Southeast Kansas. $700,000 in fundraising for the Dr. M.K. Parsi Women's Center. The purchase of the advanced patient lift system for the Cardiac Step-Down Unit. To secure and extend financial assistance to the operation, maintenance, facilities and services of Ascension Via Christi Hospital in Pittsburg, and to contribute to healthcare and maintenance of the people of southeast Kansas and the surrounding region. Guardian Angel Program — Given to thank hospital physicians, nurses or other employees that helped make your experience the best it can be and gave excellent care. Annual giving — Both one-time and ongoing yearly contributions. Memorial gifts — A way to remember someone in a unique way after they have passed away. 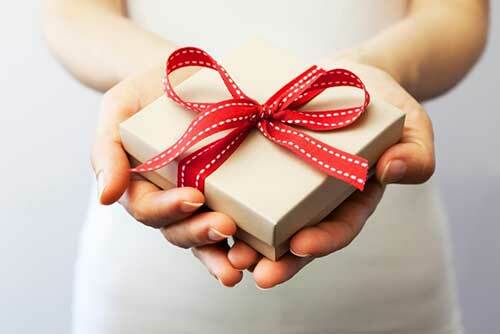 Tribute gifts — Given in honor of someone as a gift for family, friends, co-workers or caregivers. Planned gifts — An opportunity to give after death to support the healthcare needs of others. Legacy Society — An endowed fund created to support the greatest needs of the hospital. Naming opportunities — Opportunity to give and name areas within the hospital. Special events — Annual Gala, Paint It All Pink, Book Fairs, Remember Me Tree and Breakfast with Santa. Give online and become a donor today! Click the image below for more information, to buy shirts or donate to Hostage for a Cure!